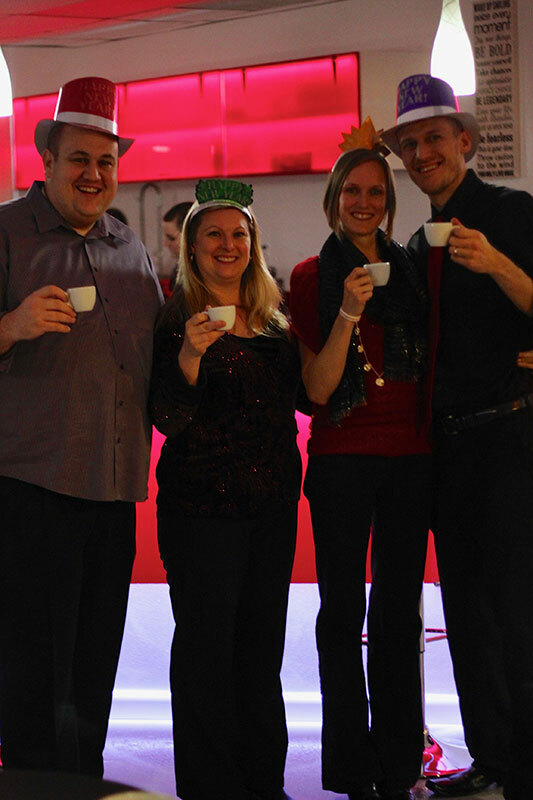 REDBAR Espresso & Market was founded December 31st of 2012 by Dr. Michael Bucknell and Kevin Anderson. The story is worth sharing. Dr. Bucknell, a well known Chiropractor, author, and internet health educator, loved coffee. This love didn’t start early, in fact even through his educational career it was of no particular interest. Some time in his late 20’s, probably due to the stress and long hours of running a busy clinic, he developed a taste which lead him to learn more and develop. This lead to sourcing his coffee from one company to another as taste became more distinct. Then his family were set to vacation to California and a good friend told him about a fantastic shop, Klatch Roasters in Rancho Cucamonga, where he visited and trained when opening a shop of his own. Driving two hours in LA traffic the experience was worth it as it was the first truly remarkable cup and passionate customer service he had experienced. As the story continued he began ordering all of his personal coffee from there, shipping it across the country. A high quality grinder, a decent home espresso machine, a restaurant grade whipped cream charger, adding components simply to make his own cup better. Then friends and family would come over and he would make them what is now REDBAR’s Signature Con Panna, and they would ask “what is this it’s delicious”? Comments would be made later asking when they could come back over so he could make them another. The idea took life then through a chance conversation between Dr. Bucknell and Kevin Anderson. REDBAR Espresso & Market was born and has since maintained strict adherence to it’s founding principles in the RED acronym, ResponsiblExperienceDeliberate as discussed in the next pages.